Our congratulations to all the budding palaeontologists in Sooty Owls class (Foundation Stage 2), at Laithes Primary in south Yorkshire for compiling such a fascinating set of questions about dinosaurs. The children in Foundation Stage at this Barnsley school have just started their summer term topic and they are very excited to be learning about dinosaurs and life in the past. The children in the Sooty Owls class have compiled a set of questions about dinosaurs. Sophie asked why do dinosaurs roar? This is a very difficult question to answer as we don’t have a living Tyrannosaurus rex, Stegosaurus or any other non-avian dinosaur to study. Dinosaurs certainly do a lot of loud roaring in movies like “Jurassic Park”, but it is hard to work out what sort of sounds they made by just studying the fossilised bones alone. Having said that, the tiny bones of the inner ear that have been found have given palaeontologists some ideas as to the sort of sounds that these animals might have heard. Dinosaurs seem to have had good hearing so they probably did make some sounds, perhaps some of the smaller dinosaurs might have chirped like their near relatives the birds. Other dinosaurs might have squawked, twittered or clucked, whilst very big dinosaurs may have made low frequency rumbling sounds, the vibrations of which, could have been detected by their feet (elephants are believed to be able to detect low frequency sounds in this way). Some very big dinosaurs could have picked up sounds using their feet. Emir wanted to know about dinosaur sleeping habits. He asked when do dinosaurs sleep? There are lots and lots of different types of dinosaurs and some of them were probably nocturnal (active at night), so these types of dinosaurs would have slept during the day. Can the children in Sooty Owls class make a list of animals alive today that are nocturnal? Most dinosaurs would have slept at night, just like we do, but all dinosaurs would have probably napped from time to time to. Palaeontologists have found fossils of sleeping dinosaurs. Some dinosaurs may have slept with one eye open so that they could stay safe. The fossils of the dinosaur from China called Mei long, suggest that some dinosaurs slept like birds. The name Mei long means “sleeping dragon”. Tyler asked were dinosaurs cold-blooded? Reptiles that are alive today, animals like snakes, lizards and crocodiles, have to rely on external sources of heat to help them keep warm and active. Reptiles bask in the sun, using the heat from the sun to warm their bodies. 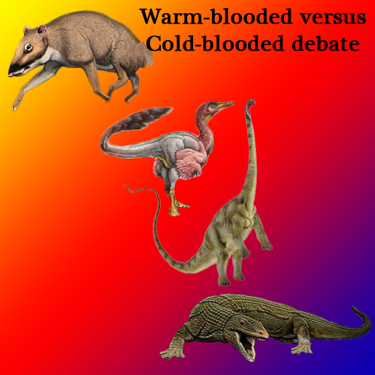 It is likely that most dinosaurs, which were probably much more active than snakes and crocodiles, were not cold-blooded, that is, they could have maintained a body temperature that was warmer than their surroundings. Many dinosaurs had feathers and these feathers helped trap body heat to keep these dinosaurs from getting too cold. Some dinosaurs lived in Antarctica and some dinosaurs lived in the Arctic Circle, so they would have been well-used to chilly conditions. Mammals and birds are warm-blooded, birds are very closely related to dinosaurs. Would a T. rex Bite My Arm? Rayen wanted to know about Tyrannosaurus rex and asked the following question – would T. rex bite my arm? Tyrannosaurus rex was a meat-eating dinosaur, if it was around today, then a T. rex might indeed try to eat you. T. rex was so big that he could have eaten everyone in Sooty Owls class for dinner and eaten the class teacher for dessert. A fully-grown T. rex would have been capable of swallowing Rayen in one big bite! It is reassuring to know that these types of dinosaurs, known as the non-avian dinosaurs are extinct! Our thanks once again to the children in Sooty Owls class for compiling such a wonderful set of dinosaur themed questions.